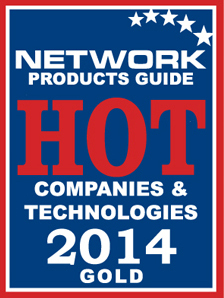 eG Enterprise V5.6 has been named the Gold Winner for Best IT Software in the 2014 Hot Companies and Best Products Awards by Network Products Guide. 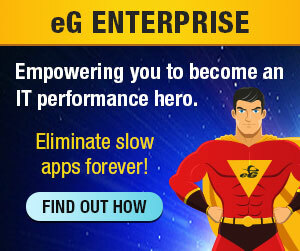 The eG Enterprise solution provides unprecedented performance visibility, automated cross-silo correlation and diagnosis, pre-emptive problem alerting, and predictive analytics to accelerate performance diagnosis, reduce operational cost, deliver user satisfaction and unlock the potential of virtual, cloud and physical IT environments. An annual achievements and recognition awards program with active participation from a broad spectrum of industry voices, the annual Hot Companies and Best Products recognition program encompasses the world’s best in organizational performance, products and services, executives and management teams, successful deployments, product management and engineering, support and customer satisfaction, and public relations in every area of information technology.